I've been reading a lot of regency novels lately and this book was a refreshing change in scenery. I love books set during important times in history and this one takes place just before the Revolutionary War in America. The Patriot movement is increasing and strengthening and Abigail Stowell finds herself right in the middle of it. Abby is a strong and determined girl. She has a keen mind and desperately wants to be a part of the cause she so strongly believes in. This leads her to a few impossibly difficult situations but with the help of good friends she manages to get through. 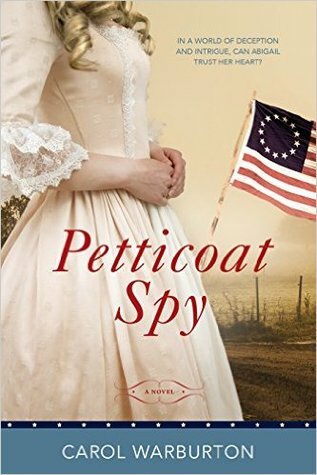 If you love historical fiction, you don't want to miss out on this book! Content: Some mild violence, drugging, abuse. A few instances of kissing. Clean. -I received a copy of this book from the publisher. All opinions expressed are my own.